When you have a Chama, you bring people from diverse backgrounds together with different outlooks to life. As a leader of this group, one of the things to expect is conflict. You can’t run away from this as you are dealing with people thus conflicts are inevitable. Many people often avoid conflict because they fear confrontations or consider disagreements unproductive. However, they can be very beneficial when managed correctly. It’s important that each group member feels comfortable openly stating her opinion and views during any discussions surrounding the conflict. Keep in mind that Chama conflicts can be fairly simple, but they have the potential to become very toxic due to the amount of people involved. It’s difficult to understand exactly what is going on when there are so many different viewpoints, which is why it is important to get to the heart of the matter in a timely and civil manner. Remember, don’t be in a hurry to resolve a conflict, as resolution doesn’t happen immediately. Instead it occurs over time, as people listen to and think about others’ viewpoints. Discussions surrounding conflict can lead to many innovative and satisfying resolutions when all group members listen to each other and work together to solve a problem. Zippy Chomba a counselor at Oasis Counseling Centre says that resolving conflict is an art that every group leader must learn. She says that to prevent the buildup of ill feelings, the group leader needs to identify the conflict and involve the group members as well. It is important that all group members realize that there is a conflict and identifies what it is, since it will take the entire group working together to resolve the problem. As the leader of the Chama, plan an informal gathering with your members. Hosting a tea or meal will go a long way as it will get members to relax and communicate more openly. Make sure you invite every person involved in the conflict. The last thing you want to do is give someone the impression he is being ganged up on or ignored. One of the pillars of resolving conflicts in the Chama is to establish ground rules before beginning to discuss the conflict. Focus discussion on the problem at hand, not on the people having the discussion. Address the issues at the root of the problem, and steer the discussion away from personal attacks as they make members become more emotional, increasing the stress and conflict. This can lead sometimes to even physical fights and insult matches. Create a conducive environment where members can communicate honestly. 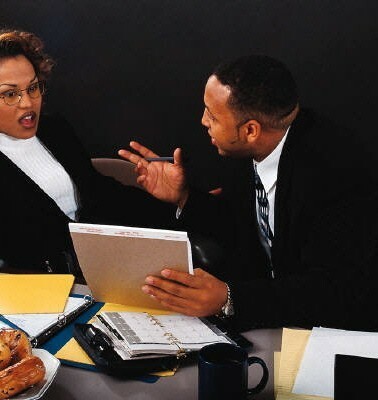 Group members should be open with each other as they discuss the conflict. It is not the time for being defensive or blaming others. Group members should simply state their thoughts, not pass judgement on others. Encourage members to listen thoughtfully to each other. All group members should voice their concerns and ideas without interruption. It may help for the people listening to repeat what they heard in their own words so that the speaker is clearly understood. Focus attention on the conflict and do not let other problems cloud the discussion. Attention should be paid to the current problem. If other problems arise during the ongoing discussion, wait to discuss them until after a solution for the current conflict has been reached. Ask for opinions after reaching a solution to make sure a resolution was actually achieved. Clarify that all group members are satisfied with the outcome. All members do not have to be happy with every aspect of the solution, but all members should be able move forward and feel that some sort of resolution was achieved. Find common ground amid the differences of opinion, and use it to build a solution. Determine a desired outcome, and then ask everyone in the group for suggestions on how to achieve it. Brainstorm the pros and cons of each possible solution the group suggests. Write each possible solution down on paper, and list the positive and negative aspects of each. As a leader of your Chama if you follow the above mentioned points, you are bound to nip problems in their bud before they become unmanageable and cause dire consequences.